9:00-9:45 a.m. - Registration in lobby. 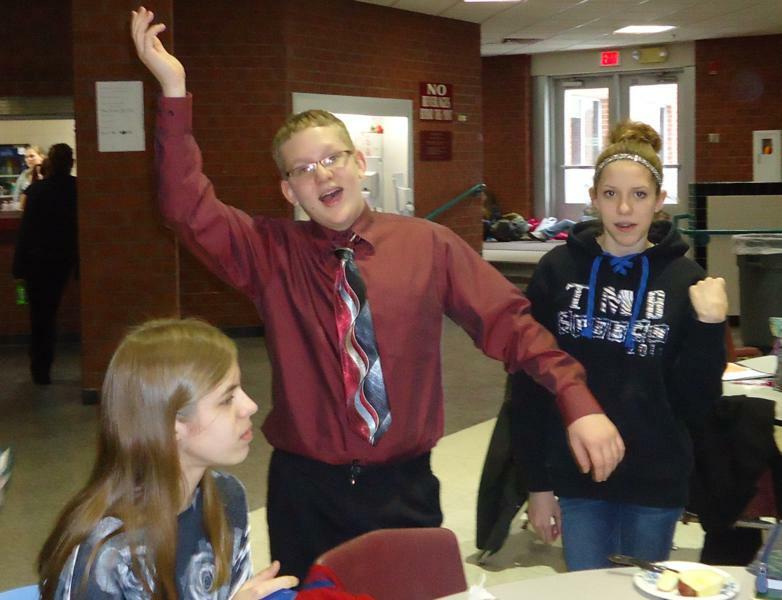 Anna Johnston (left) appears to be memorizing while Noah Tiegs and Sarita Hook entertain. 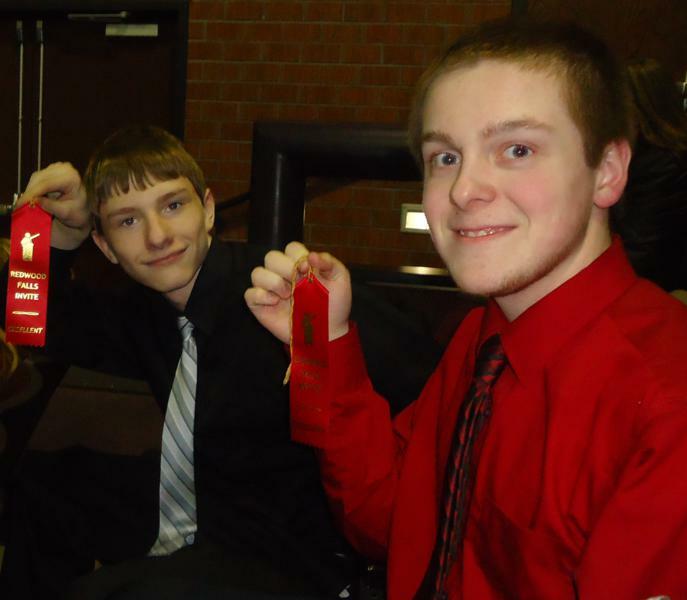 Dramatic Duo pair Steven Wilson (left) and Cody Ziemke nab their first awards of the season. 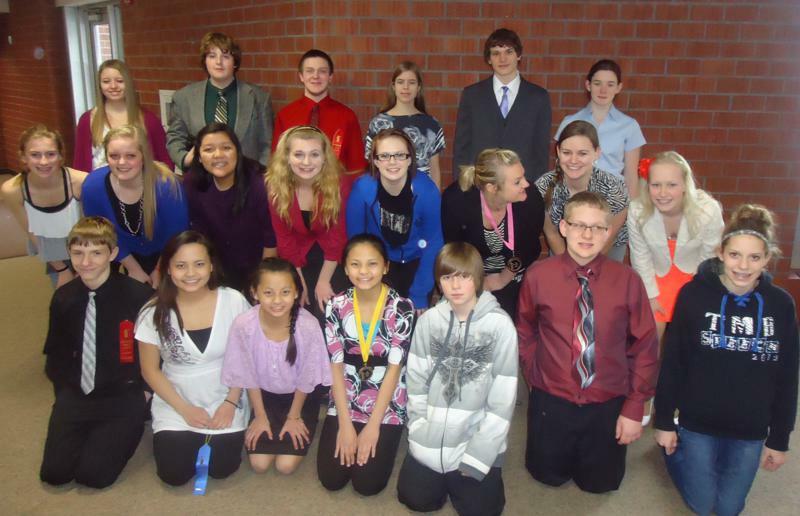 The Panther Speech Team at Redwood Falls.